We all need a good list. 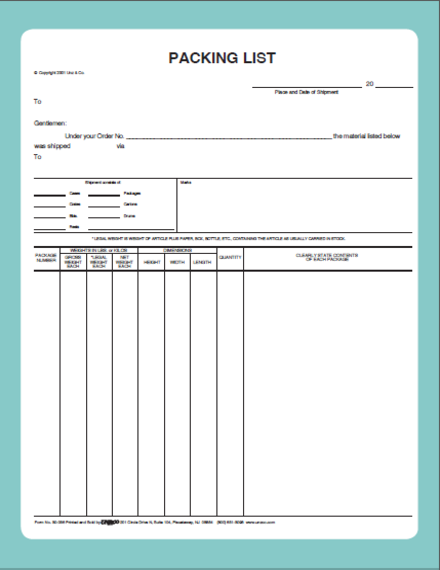 Whether to help us keep track of all the things we have to accomplish for the day or to help us organize names or contact details, at some point, we will all look for a blank sheet of paper to act as our guiding light for the day. Well, if you think that lists are just empty sheets with random things itemized on it, you’ re in for quite a surprise. In this article, we will get to know more about this underrated, unappreciated tool that makes life just a little bit better. 1. Know what your list is for: This goes without saying, but we’re saying it anyway: understand what you want your list to do for you, otherwise, it’ll just be another piece of paper with scramblings on it. Understand your list’s solitary purpose and stick with it. 2. 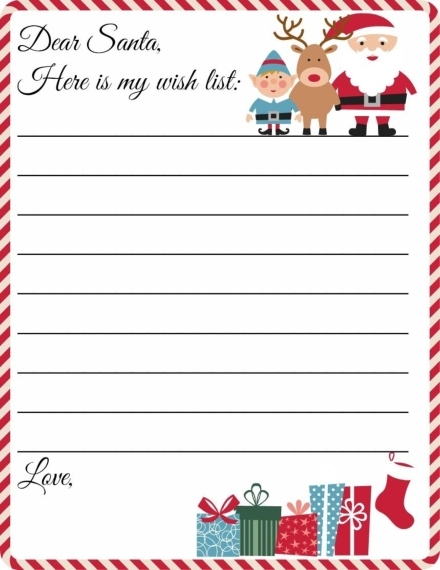 Have a header: Once you’ve identified what your list is for, put a name on it. 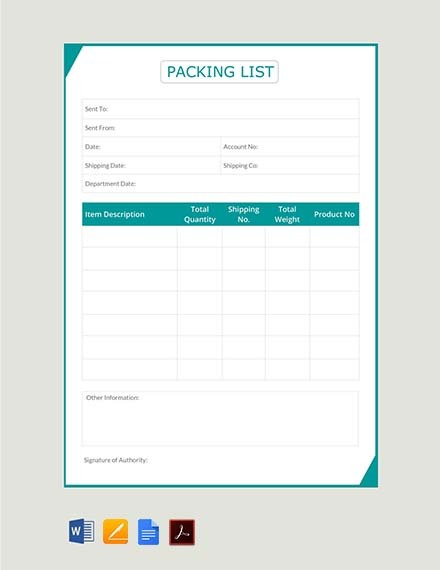 This will be helpful especially if you keep a lot of lists for different purposes with you. 3. Mark your priorities: Even if your list is made up of about a hundred things, there will always be at least three or four among that number that absolutely must get done, so add a time and a time frame to them to make sure you put them first. 4. 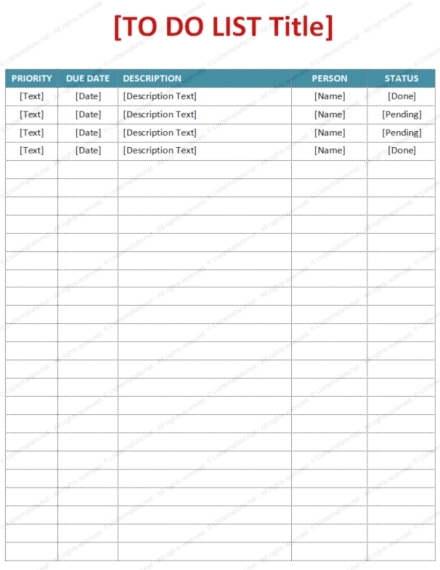 Break your list down and be specific: Your list, whatever it is for, should be actionable. For example, instead of saying “Work on research paper,” which is just vague, say “Finish one paragraph of research paper.” The latter is more specific, which makes it more manageable. Working on the whole research paper can’t be done on one sitting. It can’t even be done in five. But finishing one paragraph, now that’s a little bit easier, thus more easier to finish. 5. A checkbox: Very few things can beat the feeling of knowing that you’ve accomplished something with proof of it. It might seem petty to some, but holding a list full of chores and seeing that they have all been checked gives you a sense of success like no other. 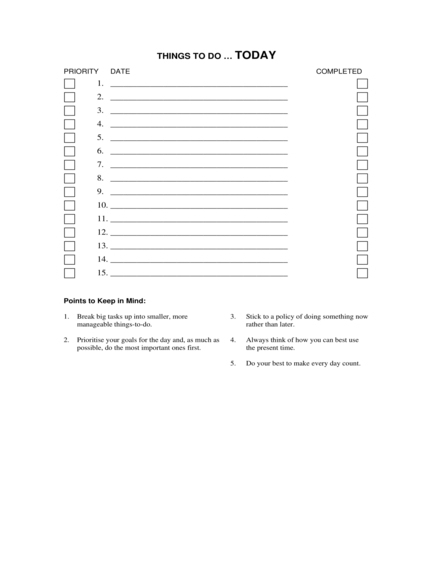 Give this one to yourself and mark your finished tasks with a check. Make sure you are clear about what your list is for: The last thing we want is for information to be all jumbled up on your list. This will only confuse you, which will beat the purpose of your list. If you want to make a to-do list for all that you need to do for the day, make sure you don’t include some travel plans into it unless you’re actually going to travel. Stick to one purpose for your list. Look ahead: Say you are making a to-do list. Instead of focusing on what needs to be done for just the day, try to brush up on everything you need to do for the whole week. You can check this when you’re writing your daily list to make sure that you are not missing anything. And if you finish the tasks on your list early, starting on your list for tomorrow will be easier, since you already know what needs to be done. Be consistent: We have this annoying habit of feeling accomplished after we make a list, even if we haven’t actually done anything yet. Stop that insanity. After you create your list, actually follow through. Does your bucket list say that you will travel to Africa next year? Start saving. Does your laundry list tell you to go to the grocery store at 3 pm? Then go to the grocery store at 3 pm! Lists are a pretty personal thing. It’s basically an attempt at encapsulating our whole life down to a page to make it more manageable, which, we all know, is almost impossible to do. 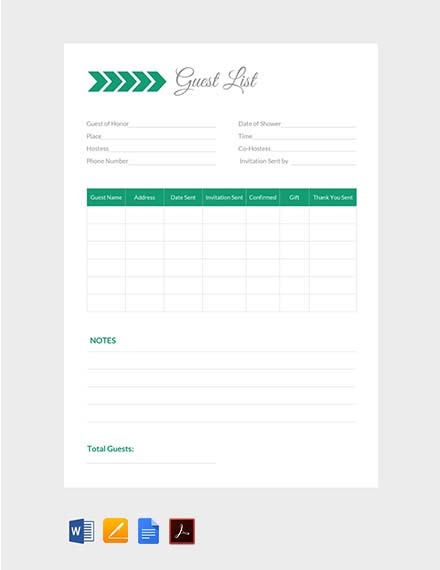 Instead of winging it and going with the flow, a list can give us a sense of organization. Here is a step-by-step guide to creating a good list. 1. Pick a medium: Lists come in all shapes and sizes, so it all comes down to what works for you. Research suggests that writing information by hand will help us remember it better, but if choosing a notebook and a pen is too difficult for you, there’s a huge range of digital apps that can help you create lists. You just have to look for what fits you. 2. Keep it simple: There’s nothing more intimidating than a mile-long to-do list and, realistically, it’s impossible to get that much stuff done in 24 hours anyway. One trick for keeping a list is to keep it simple. Digestible. Your list shouldn’t make you faint just by looking at it. 3. Meet the MITs: Lists must have at least three most important tasks so that you don’t end up not being able to do what needs to be done for the day. Even if the rest of the list stays untouched, the really meaningful stuff will get finished. 4. Stay specific: All lists should have these qualities in common: They’re physical actions; they can be finished in one sitting, and they’re tasks that only the maker of the list can do. Say you’ve always been passionate at saving the animals. Instead of writing on your list that you should “save the animals,” why don’t you try “write a cover letter for an internship at the World Wildlife Fund.” This is still close to your goal, but it’s more actionable because it’s specific. 5. Include it all: For everything on your list, include as much information as possible. 6. Time it: Now that you’ve made a list, and checked it twice, go back and put a time estimate next to every item. This is especially important if you’re making a to-do list or a laundry list. 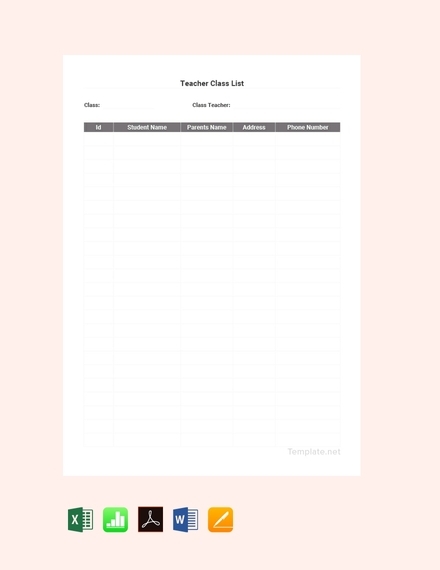 It might even help if you turn your list into a kind of schedule with specific times and places. 7. Go in with the old: One way to boost productivity is to remind ourselves how productive we were yesterday and how good it made us feel. So keep a tiny written list, or even just a note, of everything you accomplished the day before, even the small stuff. 8. Be flexible: Don’t be too strict with your list. Chances are you’re only being unrealistic. Always leave at least 15 minutes of cushion time in between items on your list in case something unexpected pops up. 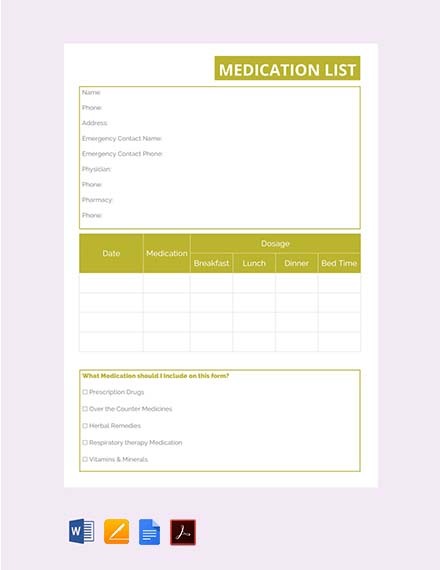 Crisis can happen to anyone, even to those with a list. 1. Bucket List: This one is pretty common. It’s typically aspirational and hopefully completable. It’s a list of all the things a person wants to do before, say, he dies or before he turns 30. It often includes the places you want to see or the food you want to taste. 2. To-Do List: A to-do list isn’t as fun and inspiring as a bucket list, but it does help in getting things done. It’s typically driven by necessary chores that need to be done by the end of the day or the week. The tasks listed here will be sorted by urgency. 3. Best-of List: This type of list is pretty fun too. Its purpose is similar to that of a bucket list but it’s retrospective. It seeks to look at everything the world has ever accomplished to choose the best among all that. For example, a “Top 10 Movies of All Time” list or a “Best Classic Novels Ever” list. 4. 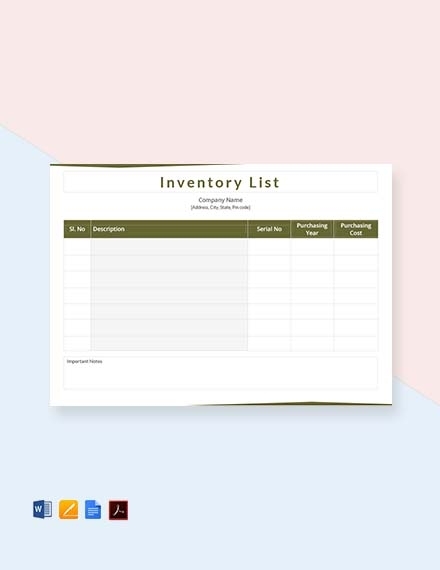 Inventory List: An inventory list is a necessity in businesses. 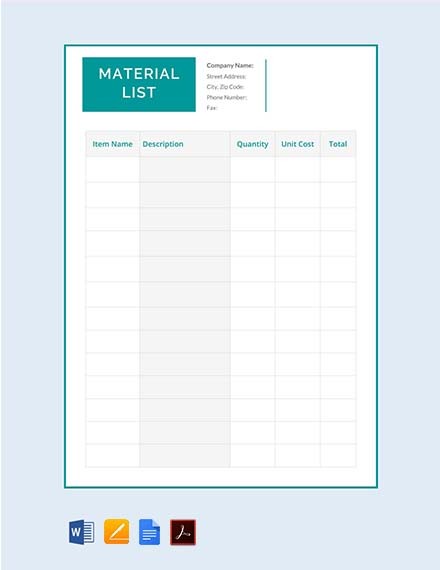 It’s a great tool that helps stores catalog their supplies and items for sale. It’s often sorted using alphabetical, chronological, and some value metric system, like price, order. 5. Index List: The king of all lists. One list to rule them all. 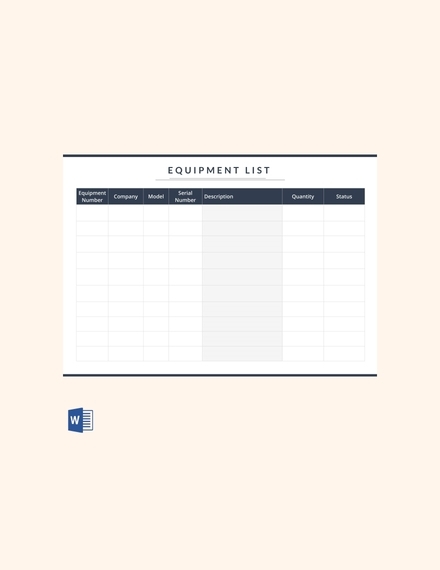 Your index list will contain all of the lists you’ve made so you can keep track of each one. 6. Checklist: This one is similar to a to-do list. But where a to-do list will be discarded after completion, a checklist will still be in use because it’s considered to be resettable. Which means that after you’ve checked out all of the items on your list, you can just keep adding things to it so it basically never ends. 7. Bibliography: It may not look like it at first, but a bibliography is just a sophisticated form of a list of the books, articles, etc., that someone can use for finding information for a piece of work that they have written. 8. Blacklist: A list of people or things that some people do not approve of, and want other people to avoid or stop supporting. This is one list you do not want to be in. It’s surprisingly common in business establishments, like clubs and even a few restaurants. 9. Blue Book: This type of list is completely opposite to the previous one we’ve discussed. It contains the names of socially important people. 10. Laundry List: Contrary to its name, a laundry list is not a list of your shirts and underpants that you have to wash. It’s a long list of things that someone needs, wants, or has to do. Basically like a to-do list. What is the best app for a to-do list? 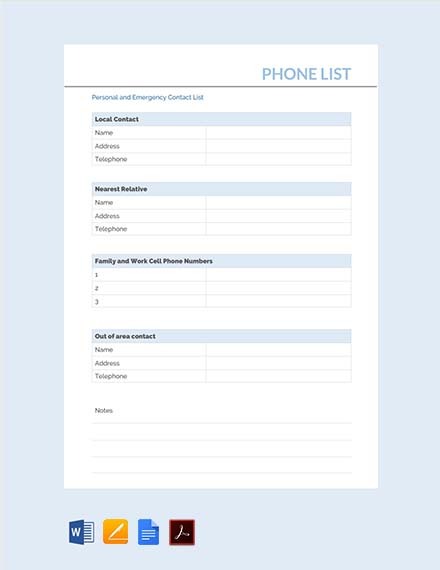 How do I make a list on my Android phone? On your Android phone or tablet, open the Google Keep app. Next to “Take a note,” tap New list. 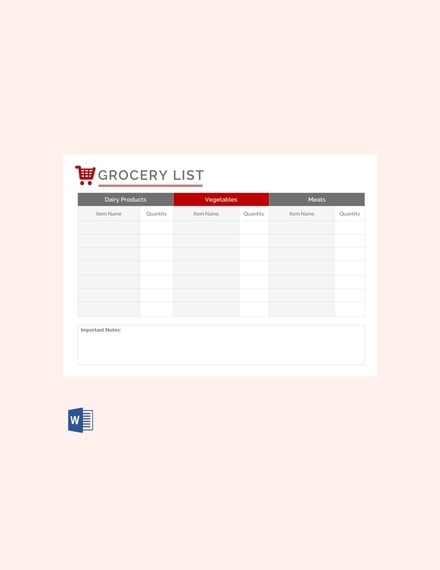 Add a title and items to your list. When you’re done, tap Back. Go beach horseback riding and swim with horses. Go ice skating on an outdoor rink. Fly in a hot air balloon over the Loire Valley. The secret to keeping a list is to make sure that it’s actually achievable. Otherwise, the thought you put into it will just be useless. 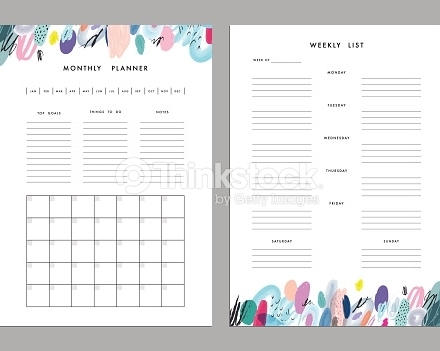 Remember the tips and steps we have talked about on this article and take the examples and templates provided as an inspiration for making your own list.